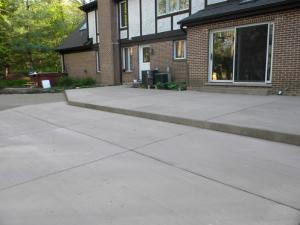 Uneven concrete patios are most often caused by voids under the surface. If the original installer failed to compact the underlying fill properly the patio may deteriorate quickly. Ground water and shifting soil can destroy your patio over time too! When water seeps under your patio it creates voids that cause unsightly cracks or sudden failures that leave your patio unusable. Removing and replacing a patio in the backyard can be extremely expensive and take weeks or months to get done. 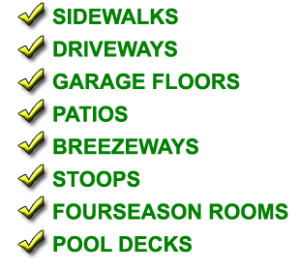 Mudjack Experts can bring your patio surface back to level much faster and at less cost. 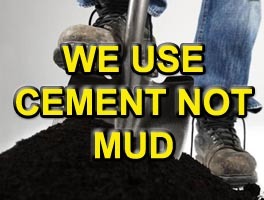 Call Mudjack Experts today and get your patio repair project underway. Brookfield, Brown Deer, Delafield, Franklin, Germantown, Hales Corners, Hartland, Milwaukee, Menomonee Falls, Nashotah, New Berlin, Waukesha, Wauwatosa, West Allis, Oconomowoc, Pewaukee, Sussex, Wales and more.